Zoe Tissandier is a visual artist who works with moving image, photography, printmaking and installation to explore notions of archiving, collecting and history. She employs texts and stories as a way to generate new meanings and often incorporates these as voice-over to moving image work. 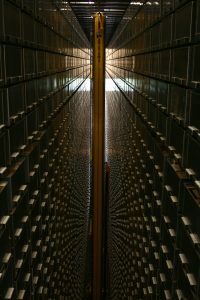 Her interest in the ‘personal’ archive is its emphasis, not on utilitarian or capital value, but rather its unofficial and subjective nature, which functions as a way to recall diverse histories and ideas. She also explores the impact digital technologies have on the status of the archival object and our relationships with the materials of the archive. Zoe studied BA (Hons) Photography at Arts University College Bournemouth (2002) and MFA in Visual Art at The University of British Columbia, Canada (2010). Recent screenings include Dim Cinema programme – Synthetic Properties at Cinematheque, Vancouver, Canada. Recent residencies include working with the Vaughan Postcard Collection held at Bristol Archives in association with the Know your Bristol on the Move project, in partnership with The University of Bristol.